Answer for a key important issue for families looking to live in the country! One major problem for families looking to move to the country is how to earn income to live in the country? Making money in the country many times means making a long commute. The commute takes time away from the family and costs a lot of money. Working from home can be one answer. But slow internet connections can make it difficult to work from home. Coffee Real Estate has two answers to making a living in the country. The answer is only good for two families. We are selling two country properties that have their own income business. They both are cash flow positive. These country properties come with all the training, clients, business systems and money to live in the country. Care home businesses are not for every family. But for the right family it is both financially rewarding and a personal enriching experience. If this is the answer you are looking for to live in the country, contact Coffee Real Estate. Country living for many people is living on a ranch. A Ranch brings a family and county living in harmony. Horse ranches are one of the most popular type of ranches. There are many things to consider when buying a property for you and your horses. The elements of a good horse property vary based on the goals of the property owner. The basic elements of a horse ranch are barn, pasture, paddocks, training area, fencing, feed and hay storage areas and, of course, a place for people to live. All of these features can be highly specialized or very rudimental just depending on the needs and budget of the property owner. 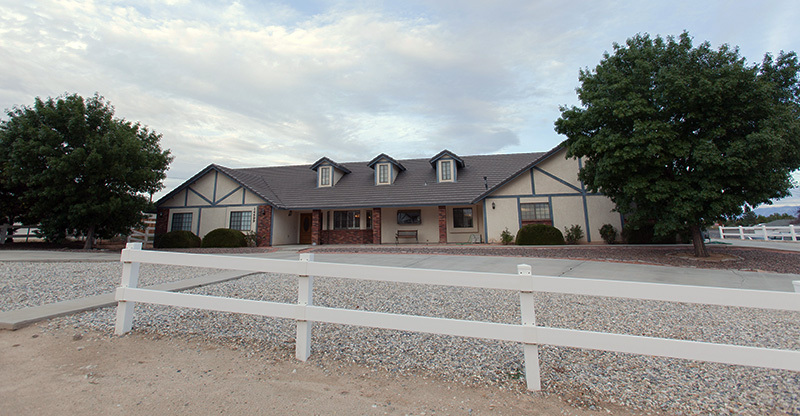 One special example of country living is Gold Country Horse Ranch. This country home is located in the rolling foothills of California. It is framed with trees, pond, pastures and a big sky view. 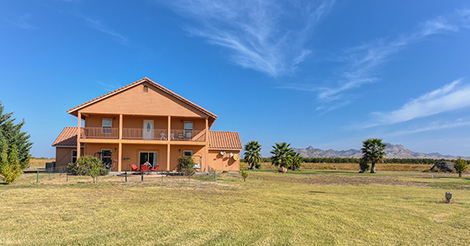 The Colfax ranch is a wonderful home to view horses out in the pastures and at the barn. There is a harmony of country home, horse amenities and land. 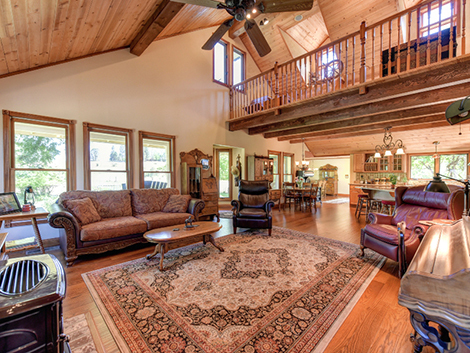 The Colfax ranch country home starts with warm oak wood flooring. The open beam and tongue and groove ceiling is a beautiful and rich enhancement. The Granite counter-top and island adds another touch of nature in the home. Country homes are as unique as the family that makes it a home. The loft with its balustrade and pitched wood ceiling creates a magical setting. The Colfax ranch makes a country home with style, panoramic views, warm wood tones, tradition craftsmanship and family focus design. This country home is part of the country experience. The front porch is a joy to look at but it makes for great outdoor living with its view of the barn and pastures. The back-patio area under the 130 year old grape vines is a unique area to enjoy some private time out side. 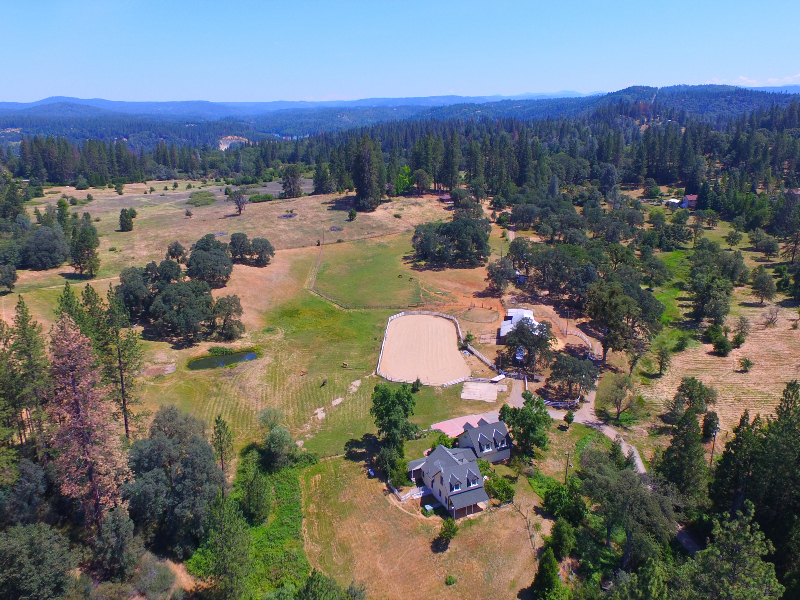 The country home in Colfax California has ample water and a big sky view. The gentle rolling foothill ranch has many areas to build. 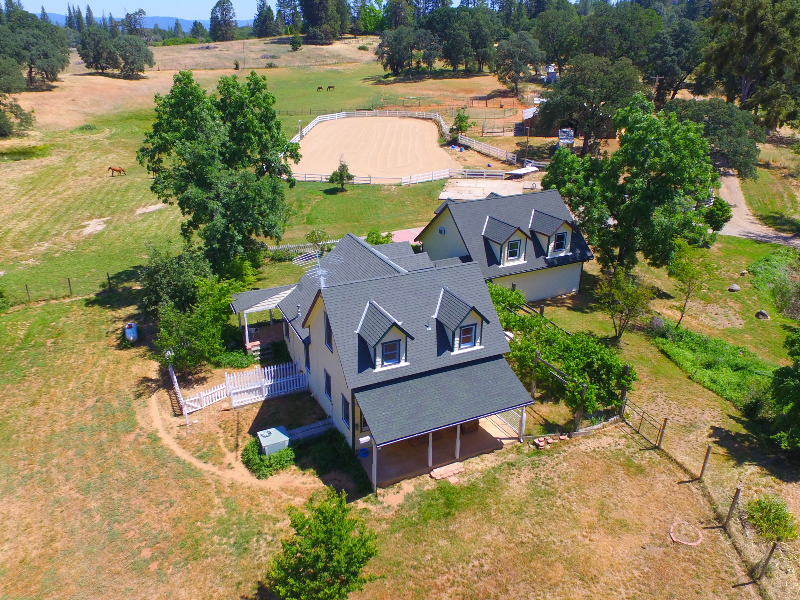 Gold Country Horse Ranch has all the space and privacy for country living. In many ways country living is about family and nature living together. Like this property illustrated, it can be done with style and taste.